We are nearing the half way mark of this year with only a handful of Tamil music albums to rave about. There aren’t enough popular chartbusters this year as of now but now we have two contrasting albums, Kabali and Achcham Yenbadhu Madamaiyada (AYM); both have received some excellent reviews from critics and fans alike. Kabali songs which were released a week ago on the 12th of June is already topping the charts with 4 songs featuring in the Top 10 list according to aircheck’s Chennai city radio plays data. AYM’s songs were released on the 17th June, has enjoyed an unanimously positive feedback. If there is one song that has ruled this year, it would be Thalli Pogathey which was officially released in January and still continues to mesmerize. 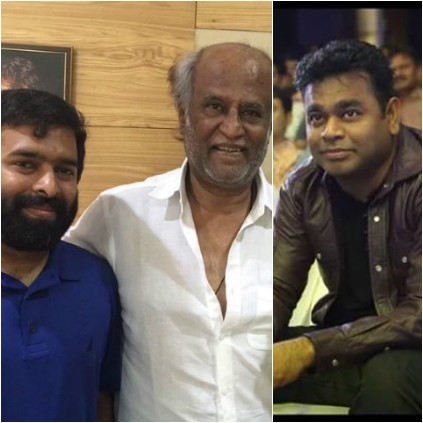 While people are in awe of Santhosh Narayanan’s music for Kabali, he took to his social media to praise AR Rahman’s popular number ‘Avalum Naanum’ from AYM - “So much love in this gem of a song from our beloved AR”. This June has already given us two great soundtracks, one romantic and one mass album and Remo’s single which is waiting to be unveiled on the 23rd of June could be the icing on the cake. Stay tuned! Manmadhan and Vallavan Combo is back! Sivakarthikeyan's Maan Karate for Vijay Sethupathi's..
People looking for online information on AYM, Kabali, Rajinikanth, Superstar will find this news story useful.